The next post about the Impel Trading Cards will come soon, but today, I’ll show off The Corps! Beast Bomber. 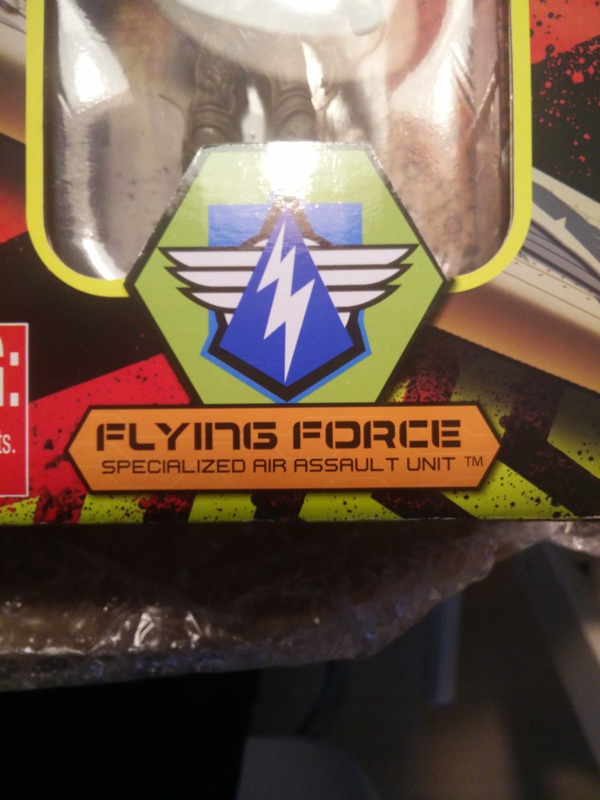 As I mentioned before, it’s next to impossible to find a toy store here that sells 1:18 scale military toys, let alone they would have G.I.Joe. The Corps! is probably the second best-known brand for 1:18 soldiers and vehicles, but over here, no stores sell them. 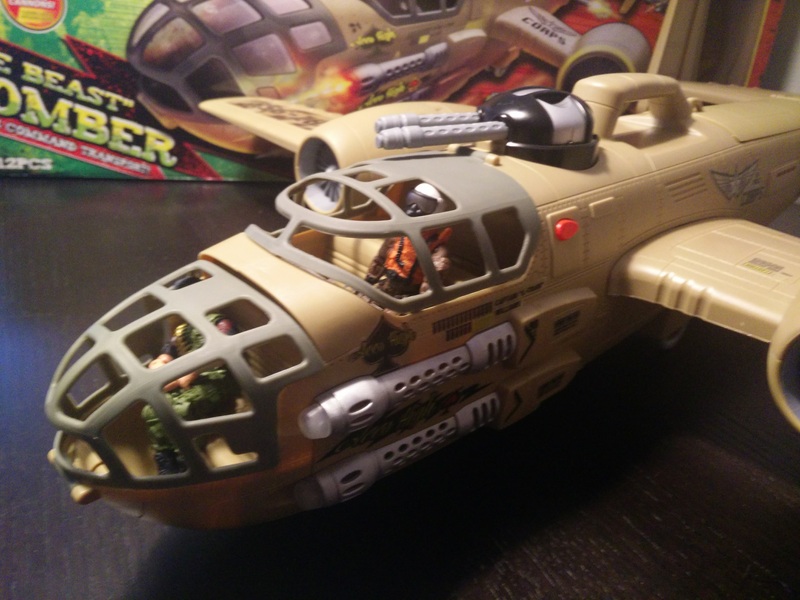 I bought the True Heroes C-130 a while back as a troop transport for my Joes and when I found out about the Beast Bomber on hisstank, I knew I needed to add this to my collection. There is a member there that created a very nice custom Joe plane out of this. 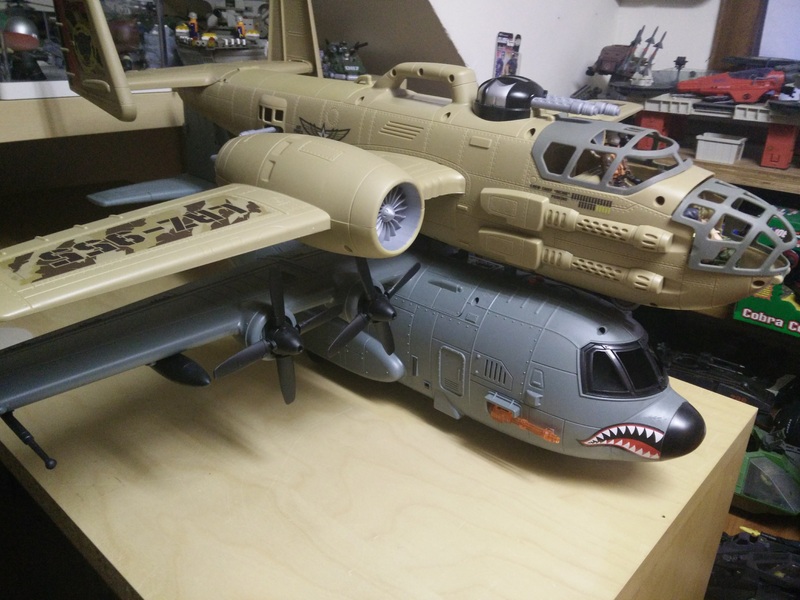 It’s my goal to customize my C-130 and the Beast Bomber as well, but I’m not confident I can do as good a job on it. So I keep pushing the customizing ahead of me. Back to the Best Bomber now. I was able to find it for an affordable price with Smyths, but they don’t ship to Belgium. 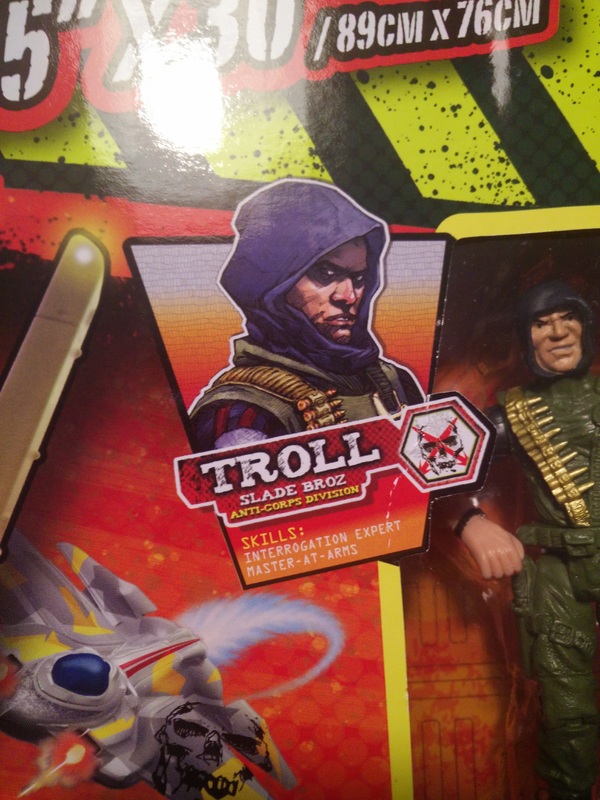 I tweeted the question if someone in the UK could help me out and the guys from Action-Figure-Supplies were very kind in purchasing the Bomber and sending it to me in Belgium. I figured the plane would be a bit bigger than a Rattler, but I was slightly mistaken. 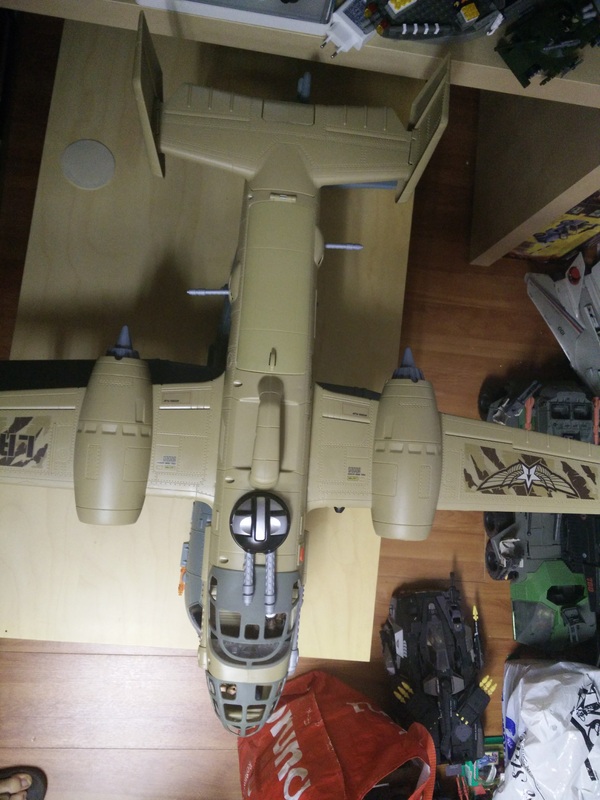 The Beast Bomber is a genuine Beast and is the same size as the True Heroes C-130. Below is a shot of the Beast Bomber on top of the C-130. It´s not that easy to spot the C-130 below that Beast. Here´s another view of these 2. Just now I realize I haven´t taken any pics of the figures themselves. You can see some of them in the pictures above. I guess there lies the weakness of The Corps!. 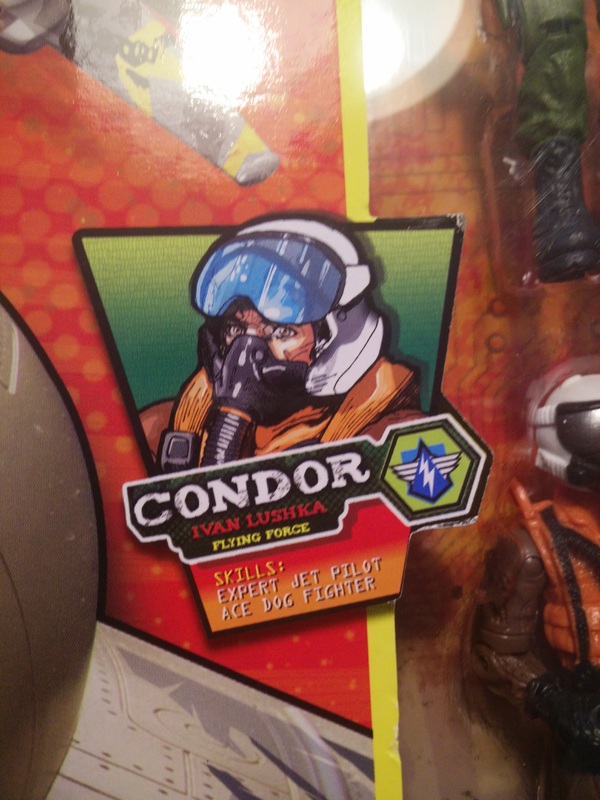 The figures don´t have the same articulation as the Joes and the quality is just not there. I really like the vehicles and the storyline is ok (Good vs Bad, how wrong can it be? ), but the figures are just pieces of plastic. I have to say, that the female characters do look better, so I´ll have to chase these down somewhere. I´ll probably try and get some more of The Corps!. I hope some local store will start selling them. Check out the website www.thecorpshq.com if you haven´t done so already. Since Hasbro is not releasing a lot of new Joe toys, I´m glad to find some other 1:18 scale toys to combine with my Joes.